ONE of the many revelations that shocked the Game of Thrones fans this season was the one involving the Red Woman aka Lady Melisandre. The glamorous witch, played by 39-year-old Carice van Houten, let her guard down and revealed her true self in Season 6 a�� a frail lady who is a few centuries old. This happened after she removed a magical necklace that she has worn since Season 2, when she entered as the powerful counsellor to Lord of Dragonstone, Stannis Baratheon. As season 6 draws to a close, Houten tells us about the big moment. a�?Youa��ve never seen Melisandre in a state of vulnerability. So as an actor, it was a great opportunity to show a different side to her after building up all this aura of self-belief.a�? 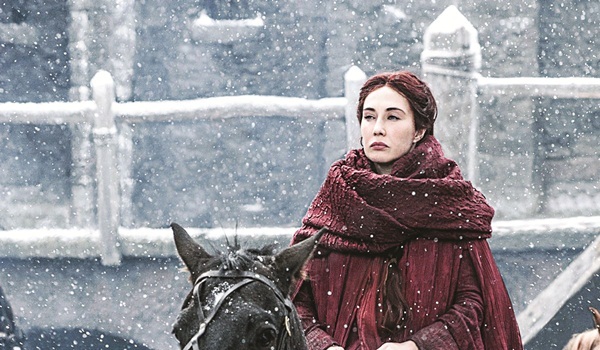 The Dutch star continues, a�?Melisandre almost felt like a different character at some moments this year. As an actor, I felt like a�?Wherea��s she gone?a��, a�?What am I going to hold on to?a�� The Lord of Light has left me alone, Stannis Baratheon and Jon Snow had died. a�? Unpredictability, as her co-star Liam Cunningham, who appears as Ser Davos Seaworth, says is the biggest draw of this epic-fantasy series. a�?You (viewers) are not being put on the sofa and told youa��ll be safe here, the good guya��s going to do well, and the girla��s going to be saved,a�? says the Irish actor. To which, Houten nods, a�?Everyonea��s going to die, is more how it (the current season) feels.a�? She tells us about a�?the scenea��, which took six hours of makeup to turn her into an old lady, a�?You saw me looking at myself in the mirror. Then you saw me put the necklace down and the hand that puts it down is already an old hand. I think I played a 250-year-old (laughs). People couldna��t believe it was me, I couldna��t really either. What was great though is it was just one short moment. You didna��t see her talk, you didna��t see her move; you just got to know a little background information about her. Then, we (the makers) went straight back to what she normally looks like.a�?